Hi Butterfly Mommies. What’s on your back to school to-do list? We’re all busy getting our little humans settled into their back to school daily routine and stocking up on school supplies is an important part of getting ready for back to school. 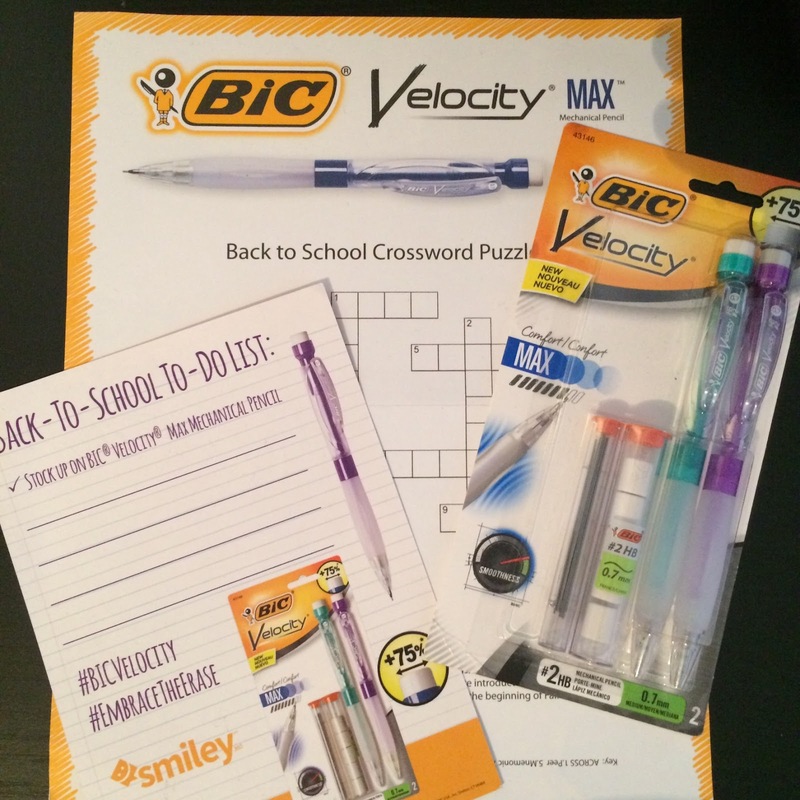 The new BIC® Velocity® Max Mechanical Pencil has a large 75% wider eraser for more erasing power. It’s soft gel grip molds to your hand for a comfortable writing experience. It has the smoothest, darkest writing vs. other BIC® mechanical pencils. The barrel colors may vary but the strong lead erases cleanly every time. 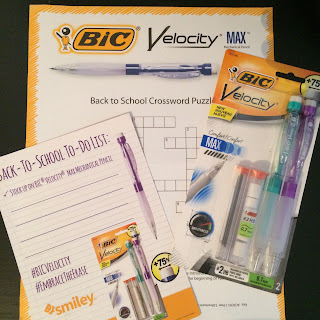 I’ve been testing them out this week, I love writing with them and I know your kid will love writing with them too so be sure to pick up a pack while you’re out shopping for supplies.